If you could turn back the clock 30 years or so and take a peek at the walls of Rohit Ramchandani’s childhood bedroom, you might be surprised that he didn’t become a primatologist. Stuffed monkeys, apes and other plush primates camped out on bookshelves and along his bed, and the one-and-only Dr. Jane Goodall graced the poster over his desk. Rohit may not have tread directly in Ms. Goodall’s esteemed footprints; instead, he became a leading global public health advisor with a slew of honours to his name (including a 2012 Grand Challenges Canada Rising Star in Global Health award, the 2009 University of Waterloo Young Alumni Award and being an alumnus of the 2012 Governor General’s Canadian Leadership Conference). But he did take her lead by charting his own path to have a lasting, positive impact on the world. From a young age, Rohit has closely observed his surroundings, seeing where and how he could make a difference as an adult. Born and raised in Pierrefonds, Quebec on Montreal’s West Island, he and his younger sister, Roshni, saw a lot of the world. They moved across Canada quite a bit, from Montreal to Vancouver, B.C., then to Calgary, Alberta and Toronto, Ontario. The family also travelled to India, where Rohit’s parents lived until they immigrated to Canada in the 1970s. 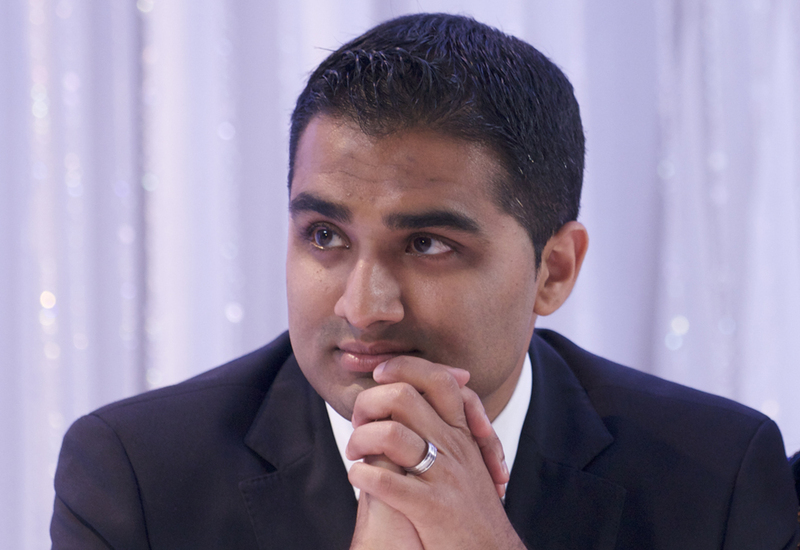 By the time he was a student at Aurora High School, in the Greater Toronto Area (GTA), he had set his sights on medicine. When he graduated in 2000, he began pursuing a BSc in health studies and gerontology at the University of Waterloo, still thinking of himself as a premed student. But once he was there, he discovered a different discipline altogether: public health. In the summer after his second year at Waterloo, he and his classmate Jon Chow joined Youth Challenge International and travelled to Guyana to work on a public health project. 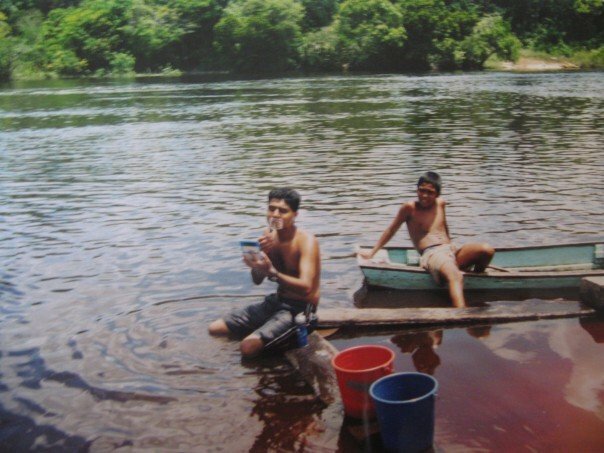 They served as community health educators in three very rural communities within the equatorial rainforest, running workshops on waterborne illnesses, nutrition, HIV and AIDS. The experience was transformative, offering a real-world introduction to global health—including its great challenges but also the many great opportunities to help others. When Rohit and Jon went back to university after that defining summer, they felt compelled to create an inlet for others to share in those kinds of experiences. They founded the University of Waterloo International Health Development Association to expose students to issues relating to international health and development, and to provide an opportunity to get involved in projects like the one in Guyana. Just two years later, their inaugural project got off the ground: an internship with the World Health Organization, through the LV Prasad Eye Institute (LVPEI). 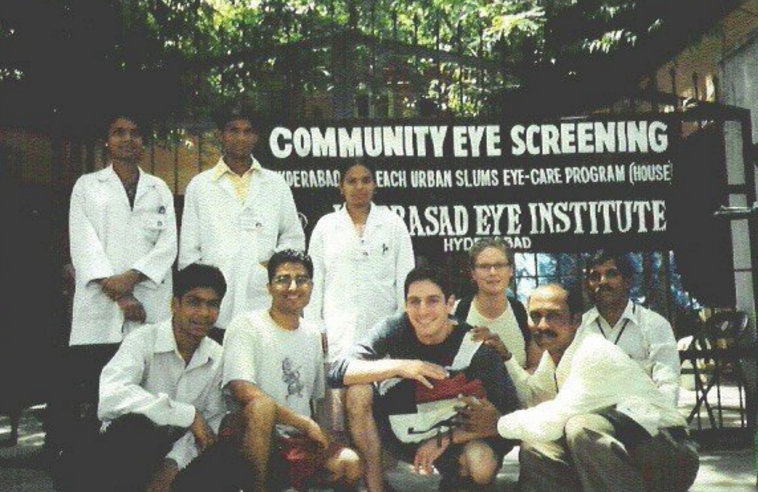 So, in 2004, fresh off completing his undergrad, Rohit and two other Waterloo students travelled to Hyderabad, India to study how the world-renowned eye hospital had devised a model that delivered top quality healthcare while serving the needs of the entire population, regardless of their economic status. LVPEI’s model became the basis of his thesis for his Master of Public Health degree, which he completed at the Boston University School of Public Health in 2006. He then moved back to Toronto to work as a management consultant for Accenture, which had just launched a healthcare and life sciences practice. There, he worked with multinational pharmaceutical companies and large hospital networks in the GTA, developing IT solutions to help reduce wait times and enable healthcare professionals to make informed decisions about how they allocate resources. In 2007, he moved to Ottawa, Ontario to work as a senior health advisor at the Canadian International Development Agency (CIDA), now Global Affairs Canada. He collaborated on a number of multinational global health initiatives, advising on investments in areas such as tuberculosis, malaria and Canada’s work on the G8 Muskoka Initiative, leading the way in maternal, newborn and child health. Being an ad-hoc committee member of the Affordable Medicines Facility – malaria, representing the Global Fund constituency of Canada, Germany and Switzerland. Playing a key role in establishing the global TB Reach Facility with the Stop TB Partnership, seeking to find innovative approaches to increase case detection and get people on treatment. Serving as a steering committee member of the Global Health Research Initiative, a collaborative Government of Canada research funding partnership focused on low- and middle-income countries. After three years and many more initiatives at CIDA, Rohit began his Doctor of Public Health at the Johns Hopkins Bloomberg School of Public Health, which he completed in 2016. His dissertation topic focused on global health delivery and implementation science: Emulating Commercial, Private-Sector Value-Chains to Improve Access to ORS and Zinc in Rural Zambia. When he dug into the research, he found that while almost no one else had posed that question formally, there was one (very small) group that had. Simon and Jane Berry, an industrious couple in the U.K., were running ColaLife, which was at the time a Facebook page that probed the very issue Rohit was exploring. He joined them as ColaLife’s public health advisor and principal investigator, and together, they worked to understand why so many children were dying from diarrhea—a totally preventable death that annually claimed the lives of nearly 700,000 kids under age five—and what they could do about it. The public sector was managing to distribute medicines up to the district level. But reaching rural communities on a regular basis posed a challenge. Mothers had to walk long distances to reach the health centres that were the only places carrying the treatments, and often arrived to find that the centres were out of zinc, which wasn’t being manufactured in Zambia. There were other hurdles, too. Standard treatment being used worldwide included ORS sachets that had to be mixed with 1L of water and consumed within 24 hours. But most children under five years of age can’t drink that much in a day. And the families had no means of accurately measuring the right amount of water. On top of that, the sick children didn’t like the taste and colour of the ORS and zinc available from the health centres. In short, the standard sachets weren’t appropriate for household use. Rohit wasn’t about to ignore history’s lessons. 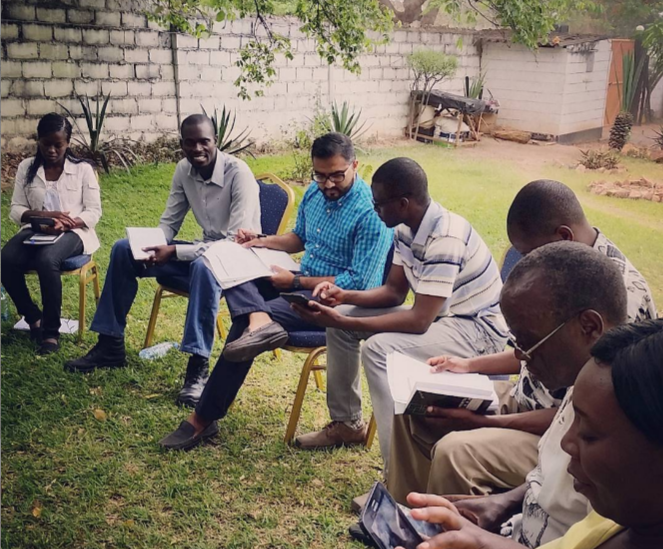 He and the ColaLife team adopted a human-centred design approach that would accurately reflect the needs of the end users—the mothers and children in rural Zambian communities who were using the treatments. The result was the Kit Yamoyo (“kit of life”), which offered many improvements over the standard treatment. The Kit Yamoyo featured packaging that doubled as a measurement vessel so families could easily prepare the solution in the correct concentration. It also included smaller sachets of ORS, which better suited the volume that children could actually consume. And the ORS mixture was flavoured and coloured orange so kids would be more likely to drink it. As well, ColaLife and its local pharmaceutical partner, which was already manufacturing the ORS, partnered with the Zambian Medicines Regulatory Authority to begin producing zinc within the country, to ensure its availability. With that supply chain established, the full treatment was locally manufactured, and ColaLife was able to co-package ORS and zinc in the Kit Yamoyo. Still, the question of accessibility remained—as did the initial question Rohit set out to ponder in his doctoral thesis. Why was Coca-Cola so readily available in even the most remote communities when basic medicines weren’t? The ColaLife team decided to capitalize on Coca-Cola’s business model, applying similar principles to the public health sector: they created a product that met consumer demands while turning a profit. 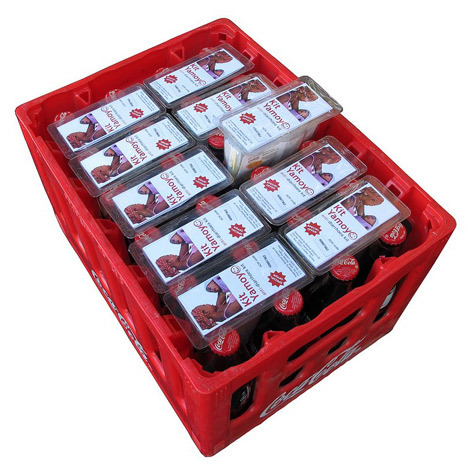 Initially, they even piggybacked on the Coca-Cola supply chain, nestling treatment packages between the bottlenecks in the cola crates. It was a simple yet ingenious idea, and one that garnered many accolades. The ColaLife model won a 2013 DuPont Award for Packaging Innovation, a 2013 London Design Museum Product of the Year award and a 2014 Transformational Business Award from the Financial Times and International Finance Corporation. It was also named among the top 10 breakthrough Innovations for 2015 by PATH. 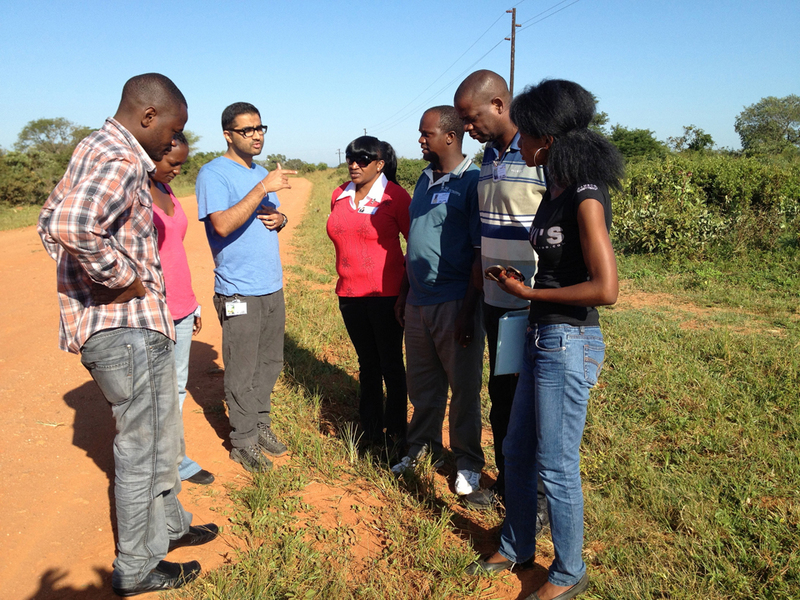 ColaLife and the Kit Yamoyo had made significant gains in the field of public health. But that didn’t mean Rohit and the Berrys were prepared to coast on their success. 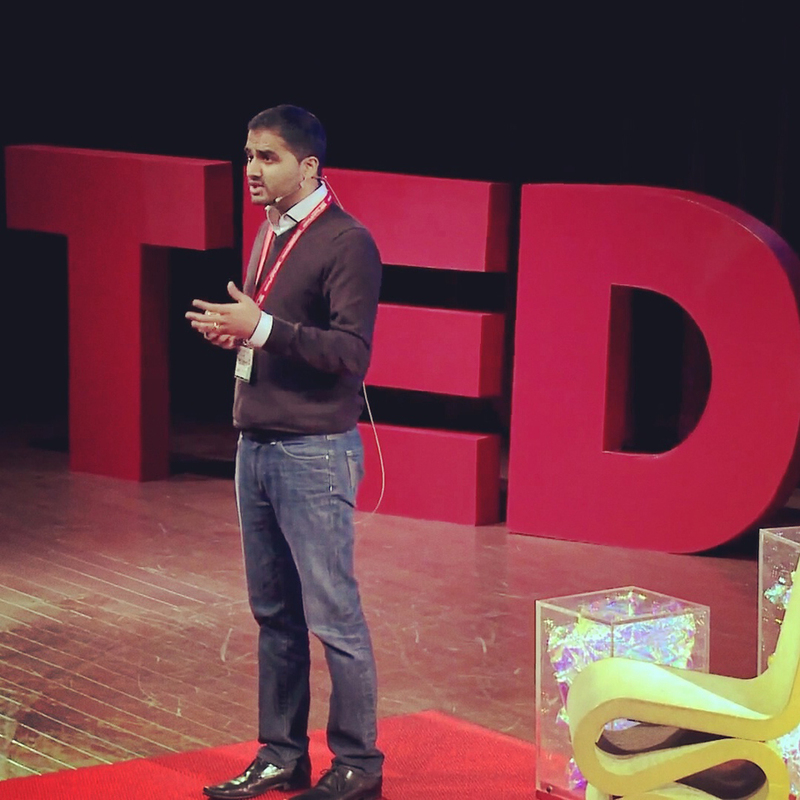 “Innovation is a process of constant evolution and adaptation,” says Rohit. So they continued to evolve and adapt. As Rohit continued to analyze data from the Kit Yamoyo usage, he found that only a small percentage of retailers were making use of the piggybacking model. The vast majority were buying the kits in bulk and putting an entire box on the back of their bicycles to sell within their communities. “Knowing we didn’t have to fit the kits into the cola crates freed us up in many ways,” says Rohit. The results have been phenomenal. 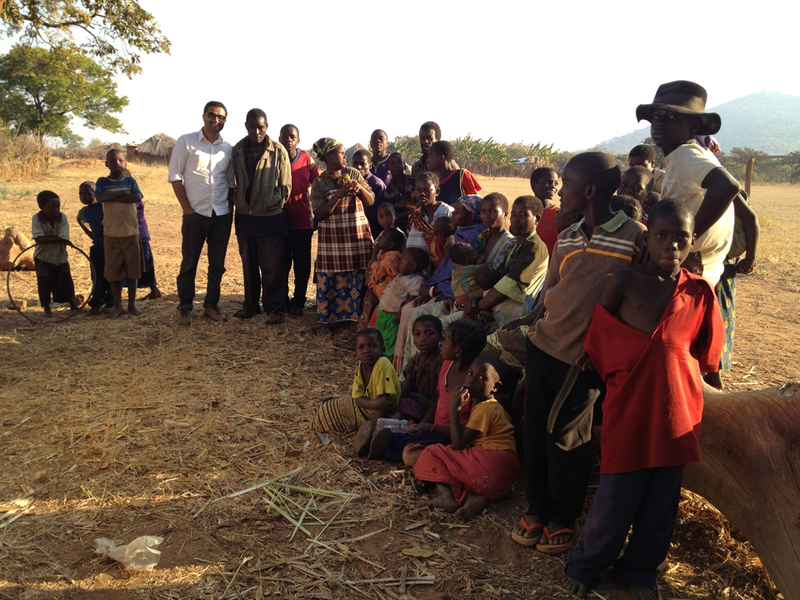 In one year, ColaLife increased coverage of ORS and zinc from less than 1%—the global average—to 46% in their intervention districts in Zambia. Their design also improved proper preparation of ORS from 60%, as seen with the standard 1L sachets, to 93% with the Kit Yamoyo. Rohit acknowledges that there is still a segment of the population that lacks the means to access it, even if at a low cost. “But our approach facilitates access for a large proportion of people who would otherwise not get the treatment,” he says. And for those who simply can’t afford to pay for it, ColaLife has mechanisms in place, like donated vouchers, to get them the treatment they need. Since he was a child, Rohit has been looking for ways to improve lives in a lasting, meaningful way. Now, he has something—someone—driving him to make an even bigger difference: his own child, two-year-old Ayaana with his wife of five years, Dr. Aanchal Sharma. 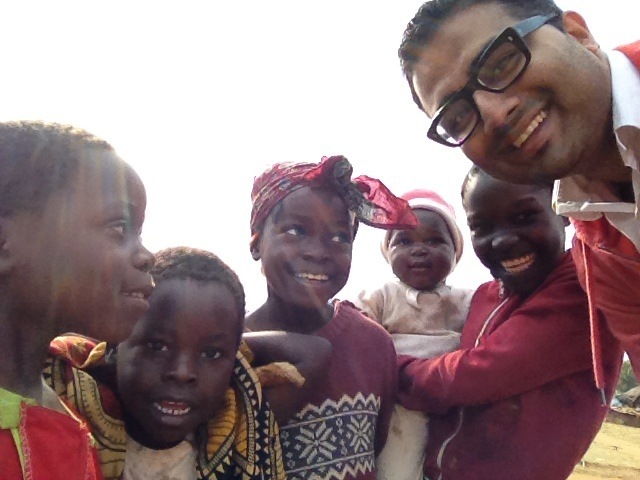 To Rohit, one of the most important means of securing a better future for us all is by educating and empowering the next generation of global health professionals. “I want to make sure people understand how to think through a lot of these challenges and how to move through them, making sure they have the methods and tools to do that effectively.” He does that in many ways: by leading workshops and delivering talks at conferences, and through his work at the University of Waterloo School of Public Health and Health Systems, where he is currently Adjunct Assistant Professor. 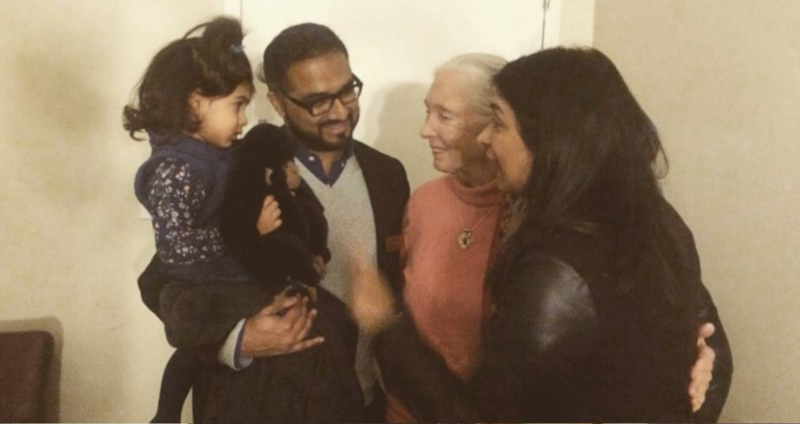 Rohit has also teamed up with his very first source of inspiration to help nurture “the next generation of Janes.” He was asked to join the Jane Goodall Institute of Canada board of directors after giving a talk at the 2013 Canadian Conference on Global Health; the organization wanted his expertise as they shifted focus to integrated conservation, looking at people as well as animals, and their shared environments. One of the projects he’s helping with is their Roots & Shoots program, which supports students in identifying challenges and developing solutions within their own communities. 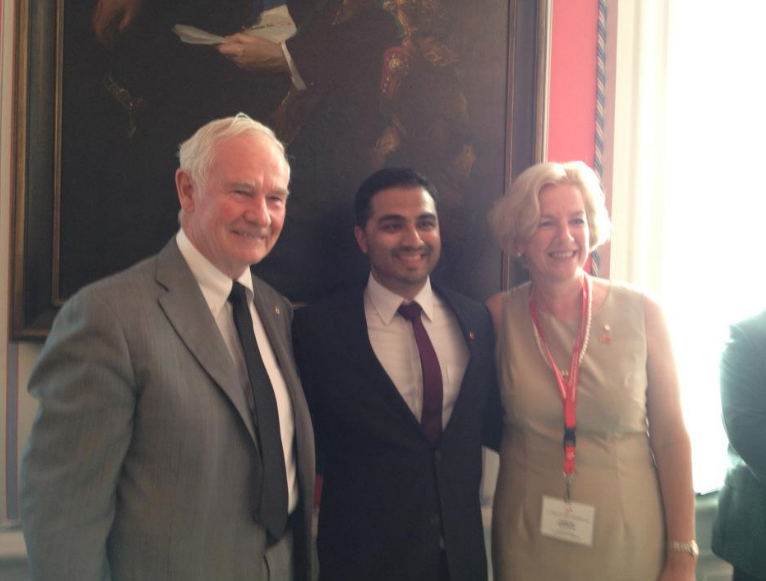 Back in 2010, the same year Rohit partnered with the Berrys on ColaLife—and the year he joined the United Nations Innovation Working Group, by the way—he founded Antara Global Health Advisors. As CEO, he leads the global health advisory firm in helping organizations around the world improve lives, increase equity and prevent needless loss of life. “I’ve had the opportunity to work in global health from a variety of perspectives and sectors,” he says. “What often prevents a lot of solutions from advancing is those sectors is an inability to communicate effectively with one another. But we can do things far more effectively if we work together. Today, Rohit is turning the clock forward, at least in his mind, looking ahead to what more good he can do with the knowledge he’s gained to date. 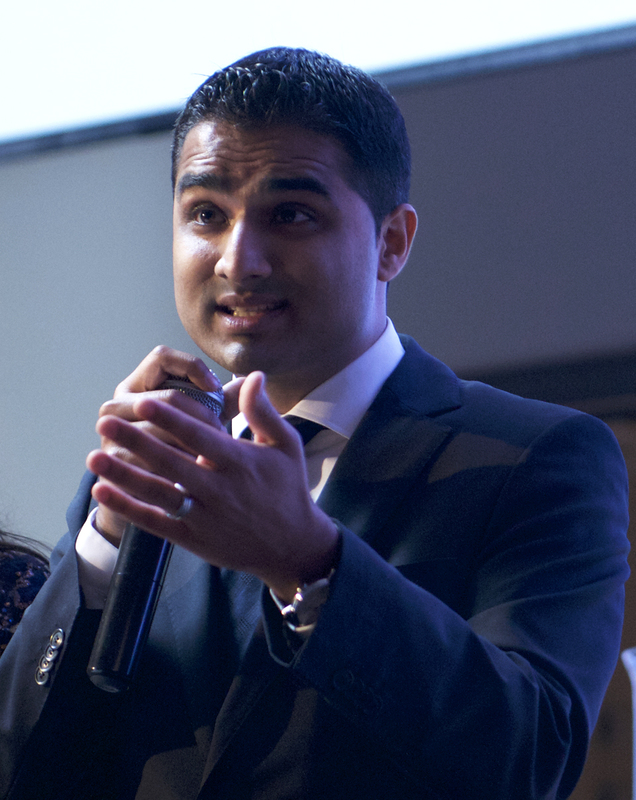 Through Antara, he is keenly focused on developing a global health innovation lab that will support initiatives like ColaLife’s Kit Yamoyo—projects that seek to first understand the challenges and problems, and then to develop tested, scalable solutions that will benefit people across the globe. For the latest on Rohit, follow @AntaraInsight on Twitter and ramchandani_rohit on Instagram. You can also email rohit@colalife.org. To learn more about his work, watch the documentary The Cola Road and Rohit’s TEDx talk on revolutionizing global health. Thank you to Ottawa’s Wing-Leung Chan for nominating Rohit as a Kickass Canadian. Great to learn about individuals coming together to see their novel ideas come to fruition for the betterment of our world. I have found this inspiring, it will help me look forward in my endeavors in similar avenues. Douglas, glad you found the article, and inspiration within it. Rohit and his partners are doing wonderful work. They continue to inspire me! Good luck with your initiatives.